In the recent Ohio Supreme Court case of State ex rel. James v. Wal-Mart Stores, Inc. (4-20-17) it is clear that an Ohio injured worker must be directly removed from the workforce due to the allowed injuries/conditions in the claim in order to be awarded temporary total compensation payments. 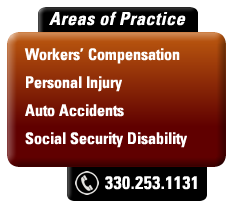 To be eligible for temporary totally disability benefits in an Ohio workers compensation claim (lost time compensation) the injured worker must demonstrate: (1) that he/she is medically unable to return to the duties of the former position of employment (job held by injured employee at time of the Ohio work injury) (2) that the industrial injury is the reason for the loss of earnings. While these are fairly straightforward requirements, the Ohio Supreme Court, over recent years, has added purely court-made requirements which can result in denial of temporary total compensation. In the James case, the injured worker suffered a serious neck injury while employed by Wal-Mart. He eventually was released to return to work at Wal-Mart without work restrictions. James eventually quit his job at Wal-Mart to seek a better job with Petco and later quit that job and went to work for Casper Transport. His employment with Casper was later terminated based upon excessive absenteeism. There was no proof offered by the injured worker that the absenteeism was due to his work-related neck injury. Thereafter, James applied for temporary total compensation in his Ohio workers compensation claim which was denied by the Ohio Industrial Commission based upon: (1) James voluntarily abandoned his former position of employment with Casper and (2) he was not employed when the cervical(neck) disability recurred. The Ohio Supreme Court cited its own court-made doctrine (nothing in the Ohio statutes) that if an Ohio injured worker does not return to his/her former position of employment as a result of the Ohio worker’s own actions rather than the industrial injury, the worker is is considered to have voluntarily abandoned the former position of employment and is no longer eligible for temporary total compensation(TTC) unless the injured worker reenters the workforce and, if due to the original Ohio work injury, the claimant becomes temporarily and totally disabled. Baker’s unfortunate denial of TTC was not simply due to quitting his job at Wal-Mart for a better paying job (upward financial mobility), but filing for TTC after being fired by a later employer for reasons not related to his original neck injury and not first returning to work with another employer before his doctor took him off work for a flare up of his work injury. Quitting or being fired from a job without necessary proof that the employment termination was directly related to the original work injury (allowed conditions in the Ohio workers compensation claim) is not a bar to payment of TTC as long as the injured worker returns to the workforce and is earning wages at the time he/she again becomes temporarily totally disabled due the work injury and is taken off work by the attending physician.